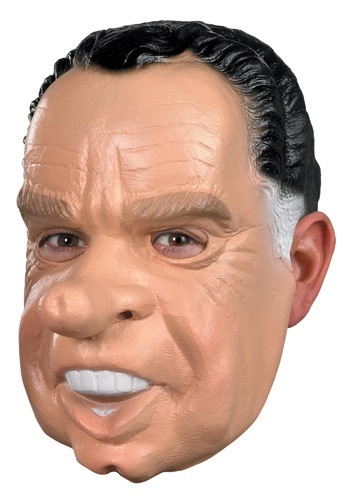 Richard Nixon Mask By: Disguise for the 2015 Costume season. You get to do all sorts of Richard Nixon things in this mask, like shake hands, kiss babies and commit treason. With a mask like this, the sky's the limit.